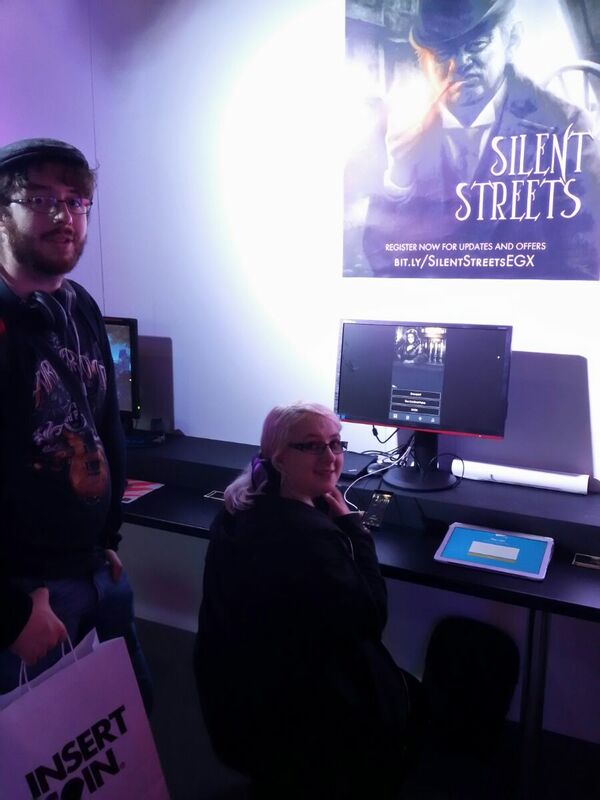 You could have noticed that we were (ok, I was) at EGX game show in Birmingham recently. 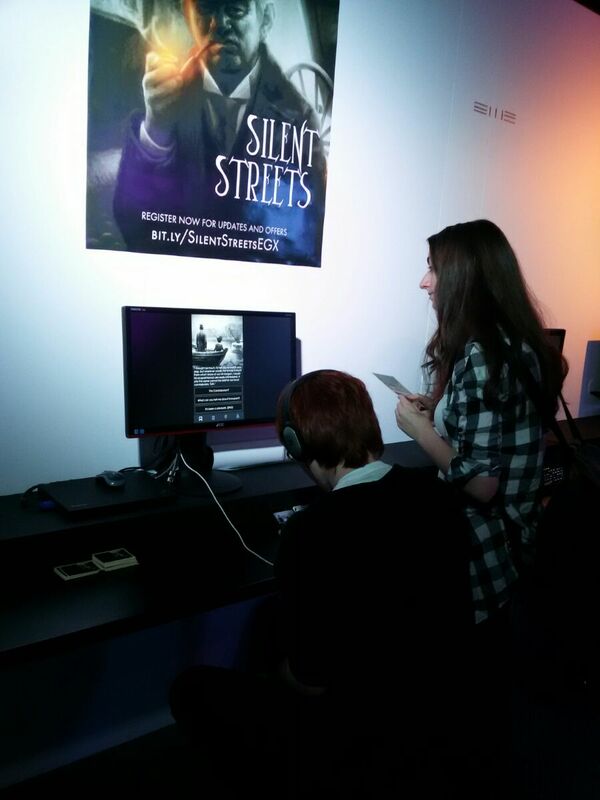 Guess what – we were showing Silent Streets! And here’s the first-hand account of my EGX days. 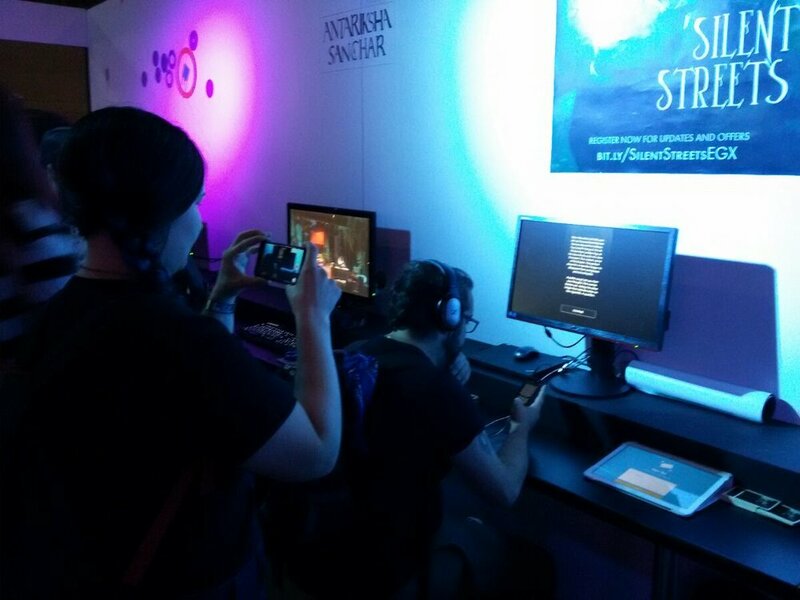 The Leftfield Collection was a cosy booth near the Rezzed zone, specifically designed for smaller / innovative projects like Silent Streets. Floor space was provided by SEGA – and it’s really cool that independent developers get support from the big guys! Special thanks to the SEGA volunteers (othertimes in-house SEGA staff) who were very helpful (and reminded us to have our SEGA lunches in time). I was surrounded by lots of super-talented developers all the time. More about their games further below. 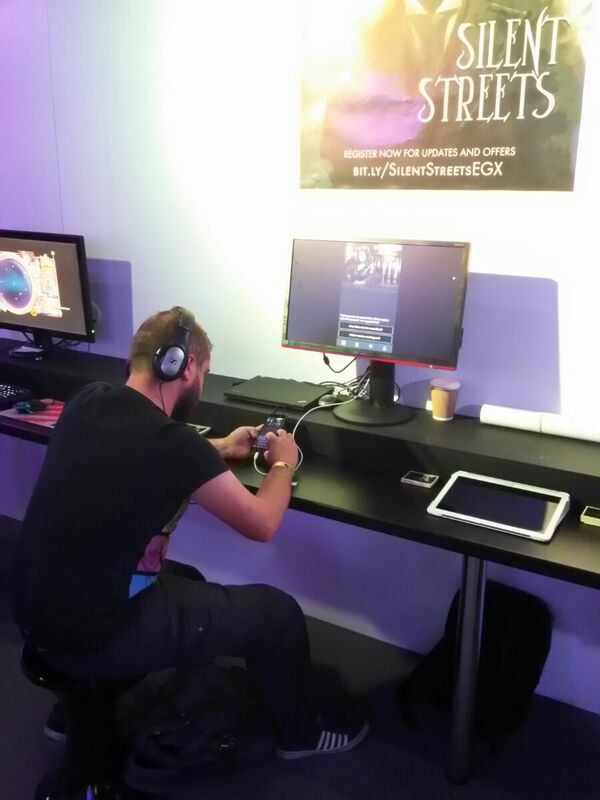 As for Silent Streets – more than hundred people played our detective adventure over the four days of EGX. A brave few even stayed at the booth half an hour to finish Episode One. That’s what we call interest! 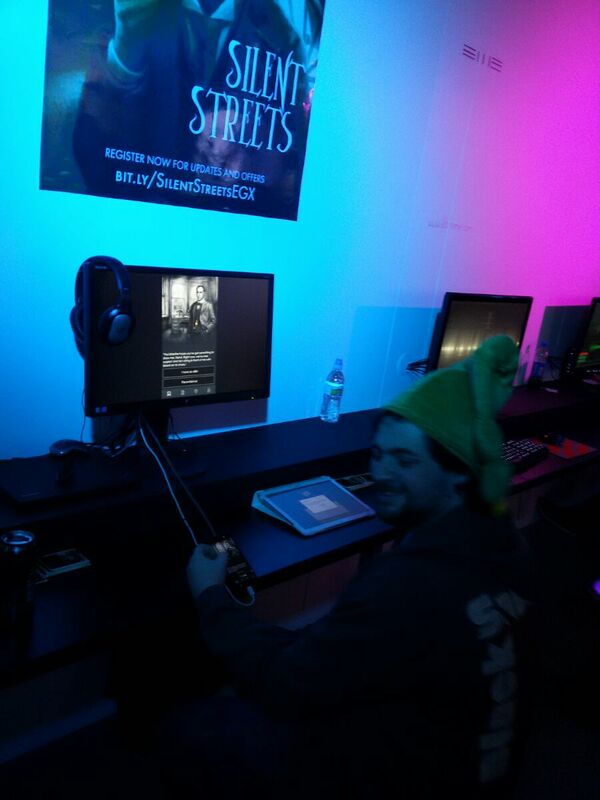 The most passionate ones got an A2 poster of Silent Streets featuring our good friend the Cabman. Unfortunately, we couldn’t showcase the pedometer function – so whoever played took cab shortcuts. The good side was, people could fully appreciate the story! I was surprised to see 10-11 year-olds, both girls and boys, totally engrossed in the narrative. A good sign if you ask me, and a thumbs-up to our writer Richard Cobbett. From how people played the game, and from what they said, there are a couple of screens that need re-design and polishing. We are also planning to make intro interactive, implement AR into evidence collection and make Silent Streets a more solid and fluid experience. But hey, all the players appreciated the artwork, story and atmosphere, as well as were intrigued by the walking mechanic. Sounds like we are on the right track after all! 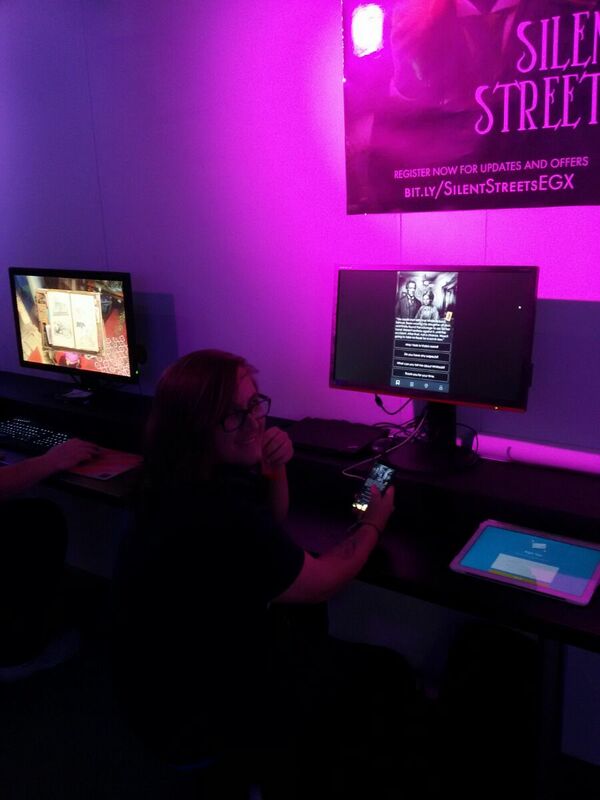 Additionally, thanks to players’ feedback, we are seriously considering a Windows Phone version for Silent Streets. As for other Leftfield games, I liked TV Trouble for its pure gameplay addictiveness, Flat Heroes for hard cooperative fun, The Collage Atlas for outstanding style, A Normal Lost Phone for blending boundaries between real and virtual, and Airheart for its astonishing graphical neatness and positive feel. But the game I loved the most (hang on, aside from Silent Streets!) was Pikuniku. Just go to its website and you’ll see why. The characters are incredibly cute, the dialogues funny, the puzzles absurd. If you are tired of epic gloomy puzzle-platformers, which lead you to a week of rehab on antidepressant pills, look no further than Pikuniku. Life is too short, let’s bake fun! The Rezzed zone itself was very prolific too. Team 17 revived the original feel of Worms in the new game Worms W.M.D. Looks like they took the best of Worms 2 Armageddon and brought it to modern graphics – and what else do you need for a fun evening with your friends? For those who love fast-paced competitive games, EGX had Arena Gods, a gorgeous local multiplayer battle arena. It’s a game that keeps graphics simple not to distract the player and keep focus on gameplay. Quite bloody, too (though delivered in a fun way) – so please don’t say we hadn’t warned you! 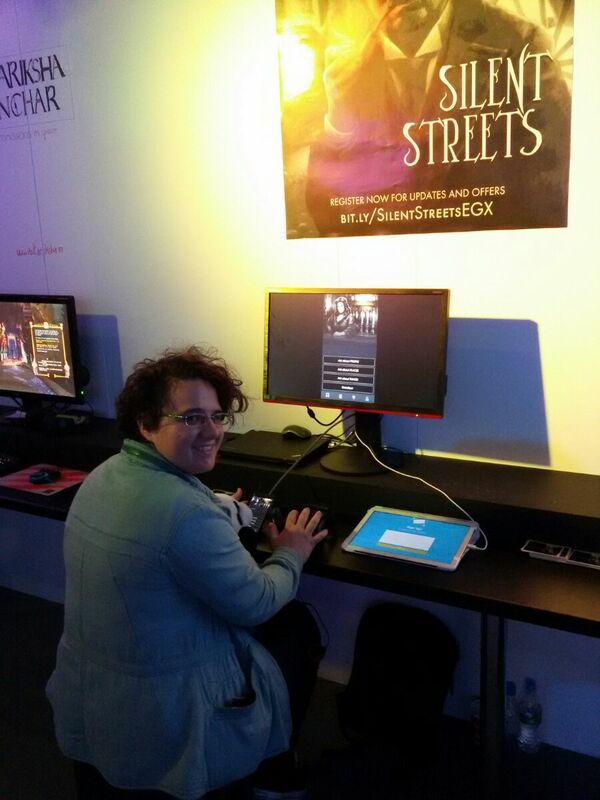 Speaking of augmented reality, Silent Streets was not the lonely guest at the festival. Beasts of Balance is a family-friendly game (really, no gore?) where players stack physical blocks on a special platform, which changes the game world on your screen. I guess that’s all for today! 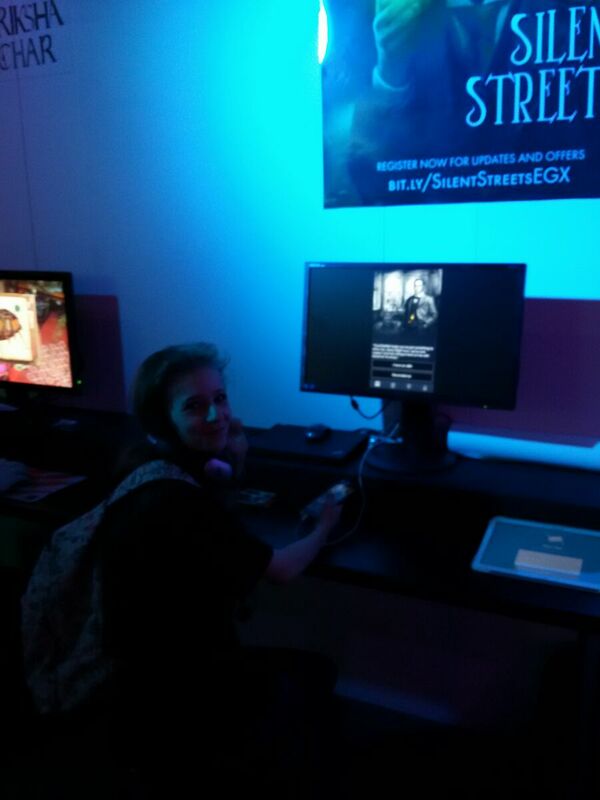 Thanks everyone who enjoyed Silent Streets at EGX! 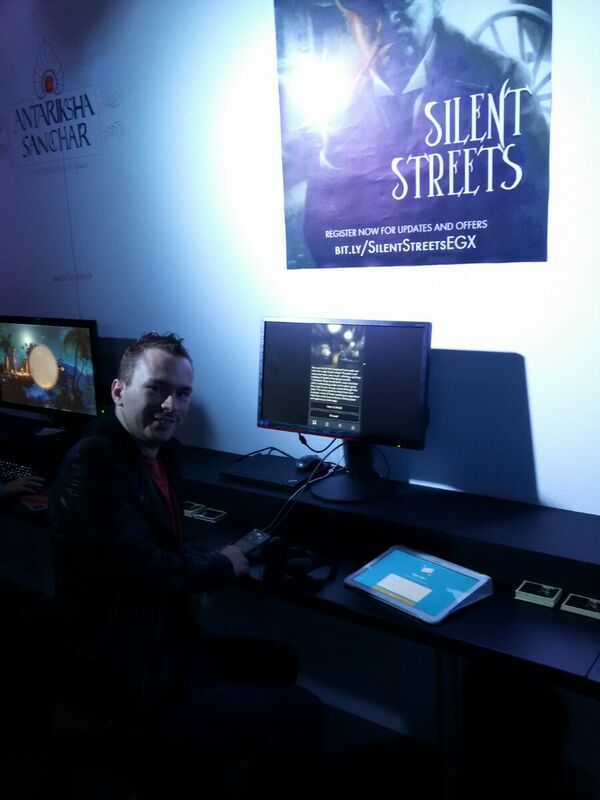 It’s your feedback and good vibes that let Silent Streets happen! 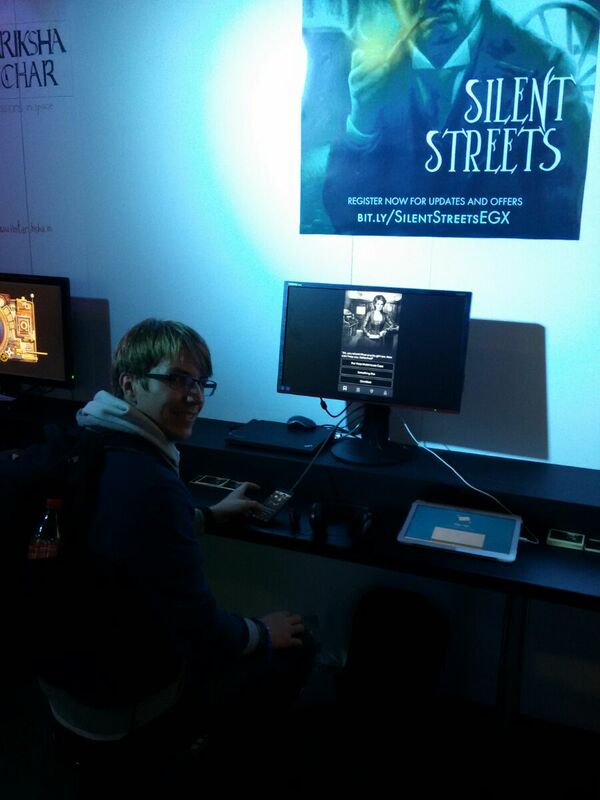 And special thanks to David Hayward who greenlit Silent Streets and helped on the technical side.